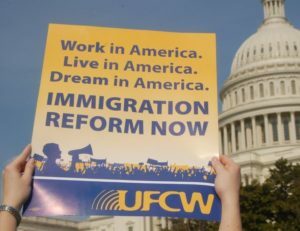 UFCW International President Marc Perrone issued the following statement on June 21 regarding the U.S. House of Representatives passing H.R. 2, the Agriculture and Nutrition Act of 2018, also known as the Farm Bill. “This exact bill failed last month for good reason. 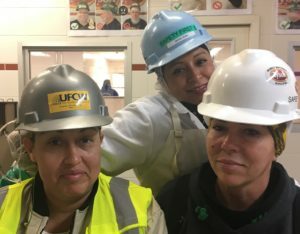 “It puts hundreds of thousands of good jobs at risk of being eliminated and makes it more difficult for hard-working people to feed their families. Federal court rulings recently halted the Trump administration’s termination of the Deferred Action for Childhood Arrivals (DACA) program. The court orders require U.S. Citizenship and Immigration Services (USCIS) to resume accepting DACA renewal applications. These orders apply nationwide to any individual previously awarded DACA. Individuals never awarded DACA are not eligible to apply. Who is eligible to apply for DACA renewal? Any individual who was previously granted DACA may apply, including individuals whose DACA has expired; current DACA recipients whose DACA is about to expire; and individuals whose DACA was terminated. A previous recipient whose DACA status expired on or after September 5, 2016, or whose status is expected to expire, may file a renewal request. The renewal should be filed with USCIS on Form I-821D, Form I-765 (work authorization application), and Form I-765WS (worksheet). An individual previously granted DACA whose eligibility expired before September 5, 2016, must file a new initial DACA request. The request should be filed with USCIS on Form I-821D, Form I-765 (work authorization application), and Form I-765WS (worksheet). An individual whose most recent DACA grant was terminated may file a new initial application with USCIS on Form I-821D, Form I-765 (work authorization application), and Form I-765WS (worksheet). A filing fee will be charged or the filer may apply to waive the fee. All applications should list the date DACA expired or was terminated. There will be no advance parole granted during this period. 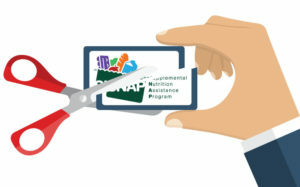 The same program requirements in effect prior to the program’s termination will apply to renewals. DACA recipients must have resided continuously in the U.S. from the time of their initial DACA request to the present. DACA recipients must not have departed the U.S. on or after August 15, 2012, except on advance parole. If a recipient has had any interaction with law enforcement since the last DACA approval, it is advisable to consult with an attorney. 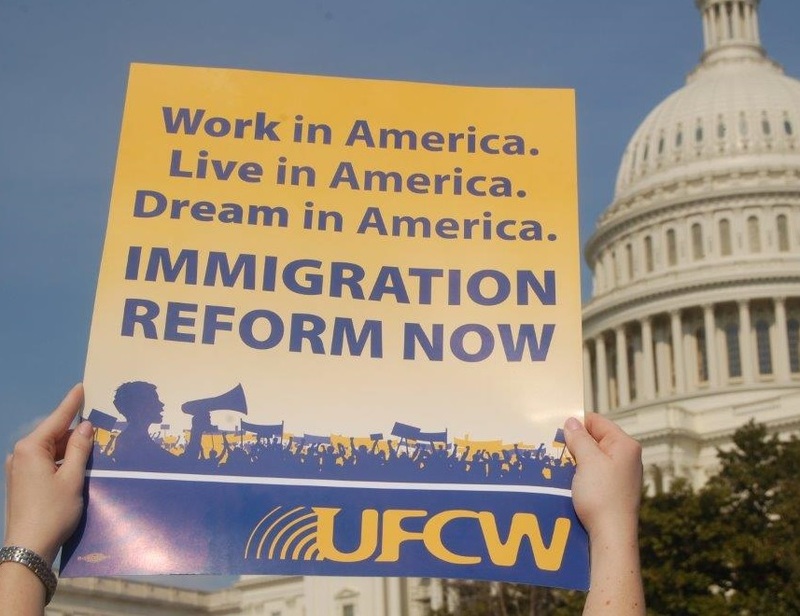 DACA recipients may contact UFCW Legal Department at (202) 223-3111 with questions. UFCW International President Marc Perrone released a statement on May 18 regarding the Agriculture and Nutrition Act of 2018 (H.R. 2), also known as the Farm Bill, failing to pass in the U.S. House of Representatives. “This Farm Bill was flawed and deserved to be defeated. “The most common jobs in our country are retail jobs where work schedules are uncertain and vary widely from week to week. If this bill had become law, someone who works hard could have lost access to food simply because their employer cut their hours. Over 6,500 UFCW members who work in pork plants submitted comments to the U.S. Department of Agriculture (USDA) in opposition to a proposed rule that would increase the line speeds where they work, threatening both them and the consumers they serve. On May 3, UFCW International President Marc Perrone released a statement as the comment period for this rule ended. “The American people and our members are clear – faster line speeds in pork plants will lead to more workplace injuries and less safe food. “The hard-working professionals employed in America’s pork plants are united in opposition to this proposed rule because they know better than anyone the harmful effects of increasing production speeds. As renegotiations for the North American Free Trade Agreement (NAFTA) reach their seventh round, UFCW International President Marc Perrone issued a statement regarding the importance of reinstating country of origin labeling (COOL) in any final agreement. “Right now, consumers have no way of knowing which country their meat is from and it puts them at risk of purchasing less safe products. 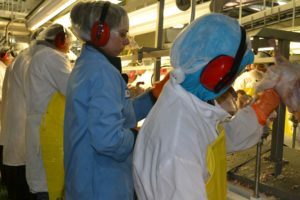 “The return of COOL would ensure families are able to see exactly where their food comes from and bring hard-working farmers, ranchers, meat processing workers, and communities the better life they’ve earned and deserve. 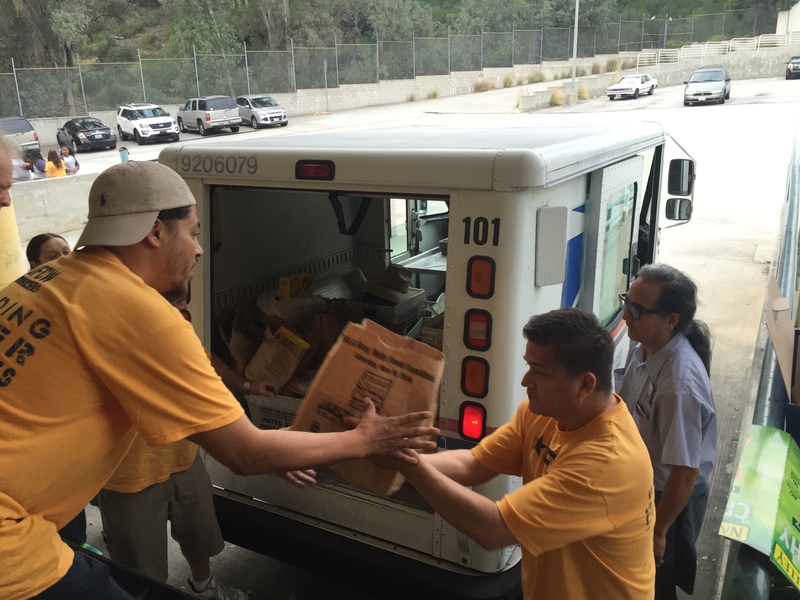 On Feb. 15, UFCW International President Marc Perrone issued a statement regarding the White House asking Congress for $30 million this year to test the “America’s Harvest Box” proposal in President Trump’s fiscal 2019 budget. This proposal would significantly change the Supplemental Nutrition Assistance Program (SNAP, formerly Food Stamps). “Whether you are Republican or Democrat, pro-union or not, shop at a big grocery store or a small local co-op, ‘America’s Harvest Box’ is one of the worst policy proposals ever made to address hunger and poverty. It will further worsen the economic divide across the country and must be stopped for the sake of the better America we all believe in. “The harvest box proposal punishes the poor, removes significant sales from local grocery stores, and needlessly puts millions of good grocery store jobs at risk of being eliminated. On Jan. 24, UFCW Local 400 and allies called on Virginia legislators to expand Medicaid and increase the state’s minimum wage to $15. 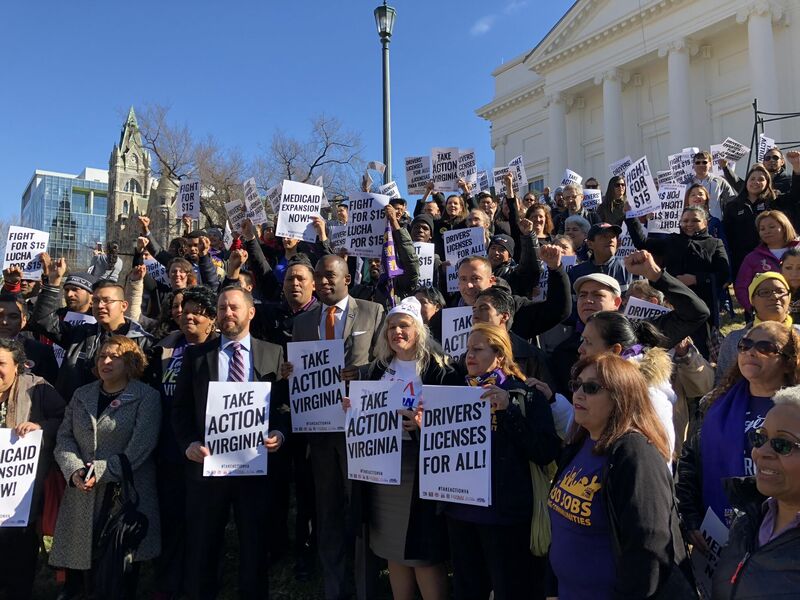 Participants at the rally also called on state legislators to provide access to driver’s licenses for undocumented immigrants working in Virginia. 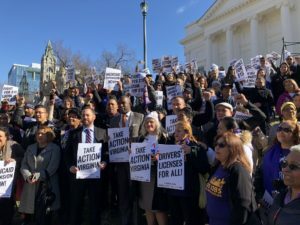 The rally, which took place in Richmond, was organized by Take Action Virginia, an alliance of organizations that includes UFCW Local 400, as well as 32BJ SEIU, SEIU Virginia 512, CASA in Action, LiUNA! Mid-Atlantic, NAKASEC Action Fund, UNITE HERE Local 23, and UNITE HERE Local 25. Richmond Mayor Levar Stoney, Senators Scott Surovell and Rosalyn Dance, and Delegates Jennifer Boysko and Marcus Simon also attended the rally.